This week on The Halli Casser-Jayne Show two stories of terrorism. 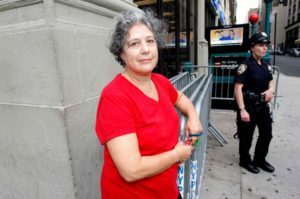 Up first, photographer Jane Schreibman, who had a brush with fate when she happened across an odd-looking object on the street in her Chelsea neighborhood that turned out to be a bomb. Her discovery led to the capture of the man alleged to be responsible for the earlier explosion that day that had injured 29. What a story! 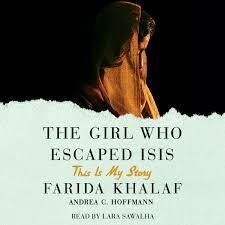 And in our second segment, the gut-wrenching story of Farida Khalaf, a young Yazidi girl captured and brutally raped and tortured by ISIS who orchestrated her own escape and who lived to tell the tale recounted in the book THE GIRL WHO ESCAPED ISISI. Our guest the author of the book and journalist Andrea C. Hoffman. Photographer Jane Schreibman grew up in Englewood, New Jersey and is a longtime resident of the Chelsea District in Manhattan. A traveling photographer, her work has been exhibited throughout the world including Reiss-Engelhorn-Museum, Mannheim, Germany Galleri Image Astral Allusions -Images From India – Aarhus Denmark, Museo Ken Damy, Brescia, Italy, Fotografia Oltre, Chiasso, Switzerland and in the United States at David J. Brodsky Gallery, Princeton University and at the Marcuse Pheifer Gallery, Self Portraits (Grp) New York City. The night of the Chelsea bombing she sighted something what she described as weird on the street that looked like a “kids scientific experiment.” What happened thereafter is quite a story. In the early summer of 2014, Farida Khalaf was a typical Yazidi teenager living with her parents and three brothers in her village in the mountains of Northern Iraq. In one horrific day, she lost everything: ISIS invaded her village, destroyed her family, and sold her off into sexual slavery. THE GIRL WHO ESCAPED ISIS: FARIDA’S STORY tells the story of her incredible account of defying the odds and escaping a life of torture in order to share her story with the world. Devastating and inspiring, THE GIRL WHO ESCAPED ISIS is astonishing.